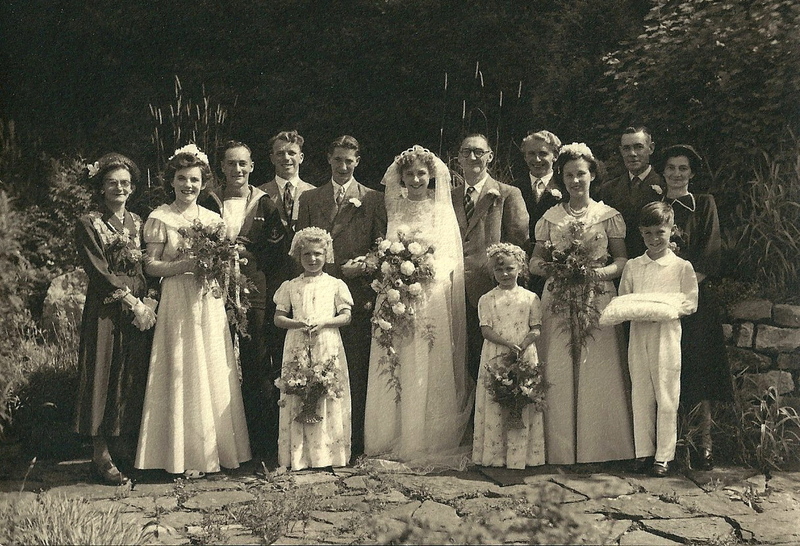 Saturday 4th August 1951 – Alice Musgrove and Graham Dawson married at the Parish Church of St. James, in Clitheroe, Lancashire. So today would have been their diamond wedding anniversary. Sadly dad passed away in 2008 so there will be no anniversary celebrations – and he really enjoyed a good old “knees up”. However it is still a time to remember and mark the special day. The reception for 77 guests was held at the Craven Heifer Hotel on Whalley Road, Clitheroe. As was the case for many couples in those days mum and dad took their honeymoon in Blackpool – about thirty six miles away. 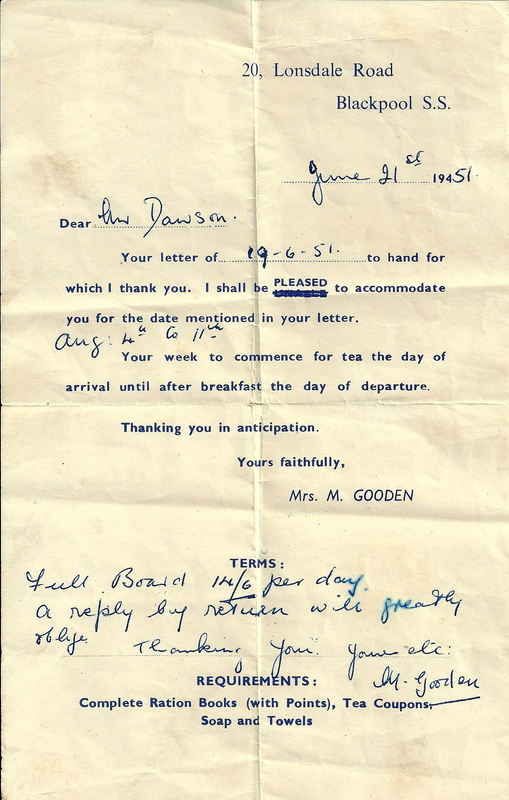 The country was still in the post war ration era and you can see from the hotel confirmation (below) that mum and dad were required to take with them their complete ration books (with points), tea coupons and their own soap & towels. Mum has kept all the paperwork related to the wedding and this has now been scanned and preserved as part of my digital treasure chest. I’m sad to say that we don’t really have much of anything in the way of family heirlooms. 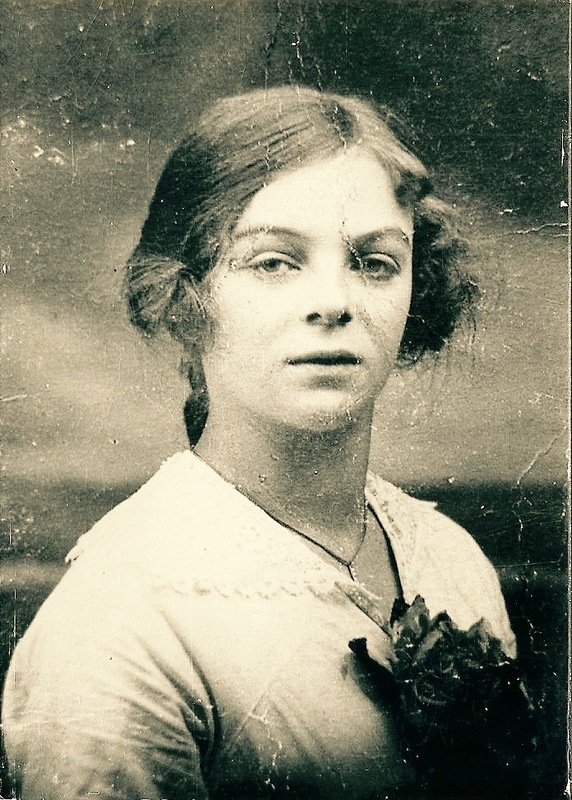 I do have loads of old photographs rescued from my paternal grandparents and I have my mum and dad’s photo collection – apart from very recent ones. So I suppose in a way I will have an opportunity to pass these on to someone else. So Jayne and I have started our own “treasures box” and we just put anything and everything in there if it has some sentimental or family connection. To be honest it could probably do with a good sort out – I haven’t looked inside for ages. If we want to add anything these days we generally just lift the lid and drop it inside. I’m not sure what we’re keeping this for as there is no one else in the family who shows any interest in their ancestry. Perhaps it will be interesting for someone to look through when we are no longer around and then do with as they wish. Note to self – check “treasures box” and get more organised. So I have been struggling for ages trying to think of something to write for Treasure Chest Thursday. We recently decorated our small bedroom which we use as an “office” and I came across my granddads bible. It’s a bit battered and worn and was tucked away on the bookshelf. 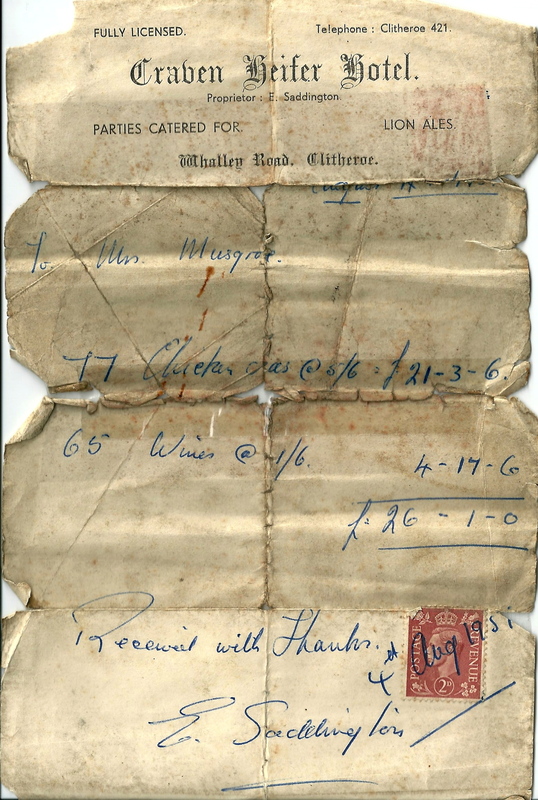 There is an inscription on the inside which was written in 1915 when my granddad would have been 12 years old. It appears that the bible was given to him as a prize by the Primitive Methodist Sunday School, Oakworth Road Mission Hall, Keighley (West Yorkshire). 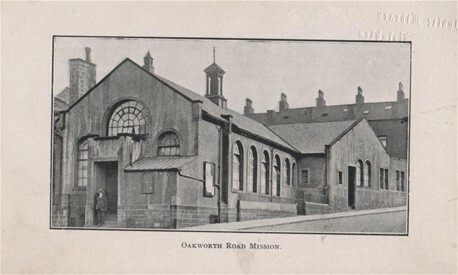 I had never thought to try and find any information about the Oakworth Road Mission Hall so I just had a look and found the photograph below. It helps me to visualise my granddad and his family going there to worship.